Secure your trousers with these metal clip braces from Husqvarna. These bright orange braces have strong metal clips that enable them to clip on to chainsaw trousers and chaps. 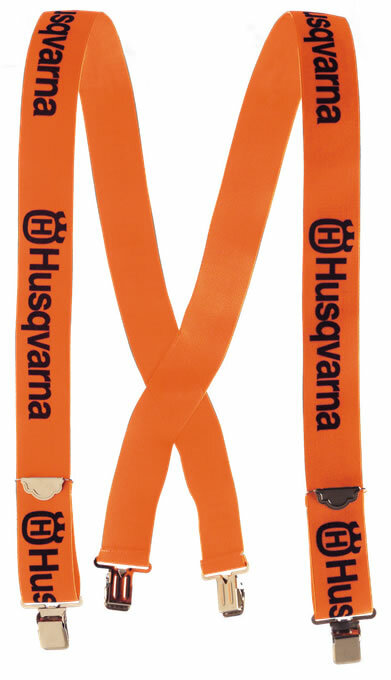 With adjustable length and an extra wide design, they also feature the Husqvarna logo stitched into the fabric.